Pictured (L-R): Luke Jensen, Regional Promotion Manager, Arista Nashville; KXKT MD Hoss Michaels; Carrie; KXKT PD Erik Johnson. 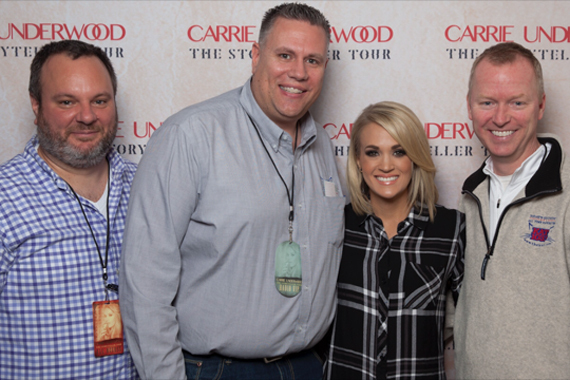 Carrie Underwood visited with KXKT’s PD and MD during a stop on her Storyteller Tour in Lincoln, Nebraska, on March 26. 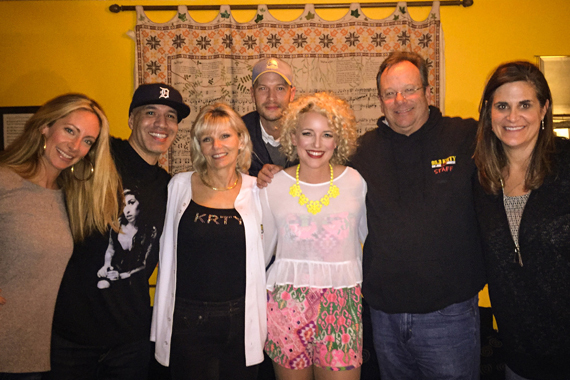 Pictured (L-R): Vanessa Kuhlman with KTOM’s Sam Diggedy, KRTY’s Tina Ferguson, Live Nation’s Aaron Siuda, KRTY’s Nate Deaton, Arista Nashville’s new Manager, Regional Promotion, Lisa Owen. 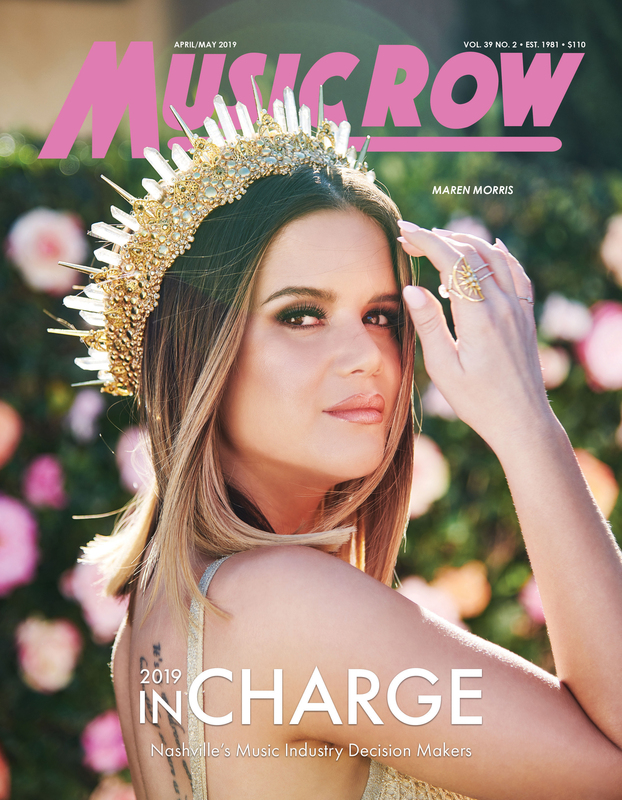 Country newcomer Cam headlined a performance at the Great American Music Hall in San Francisco, California, on March 23. This was a homecoming appearance of sorts, since Cam was raised in the bay area of California in nearby Lafayette. 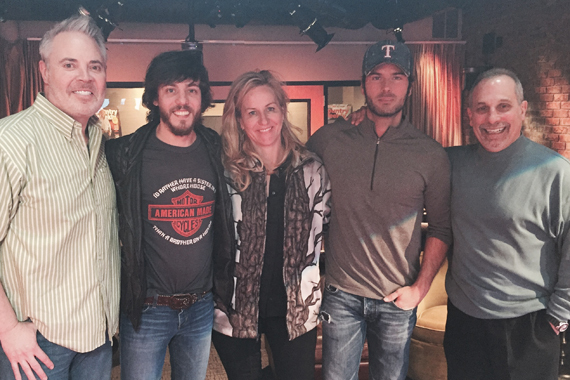 Pictured (L-R): America’s Morning Show’s Blair Garner, Warner Nashville’s Chris Janson, Kelly Ford, Chuck Wicks and NASH Director of Programming John Shomby. Chris Janson paid a visit to America’s Morning Show at the NASH Campus in Nashville on March 24 to perform the self-proclaimed favorite song he’s ever written, “When I’m Holding Her,” a tribute to his wife. Hilary Williams (L) with Inside Edition’s Megan Kelly (R). 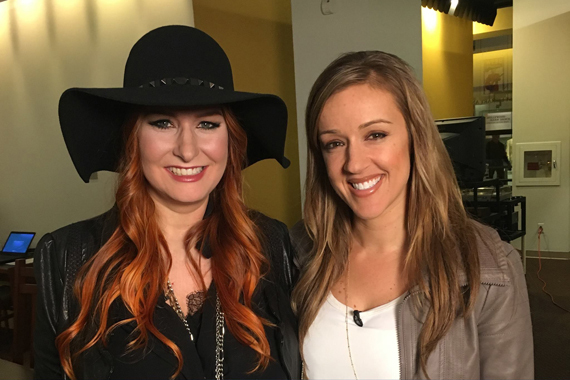 Hilary Williams was recently interviewed by Inside Edition‘s Megan Alexander in promotion of I Saw the Light, a new feature film about the life and career of Williams’ grandfather, Hank Williams. 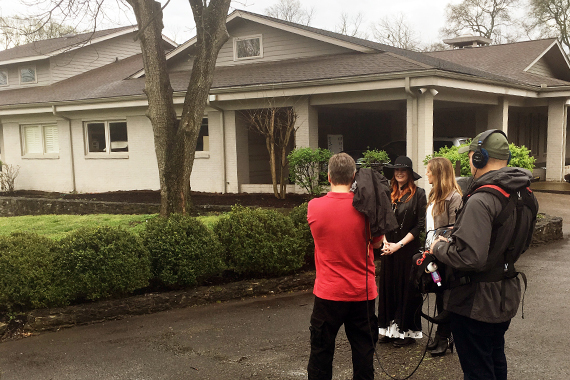 The interview took place at the Country Music Hall of Fame and the house where Hank Williams lived in Nashville. Hillary Williams’ father is Hank Williams Jr.
Shenandoah on Larry’s Country Diner. 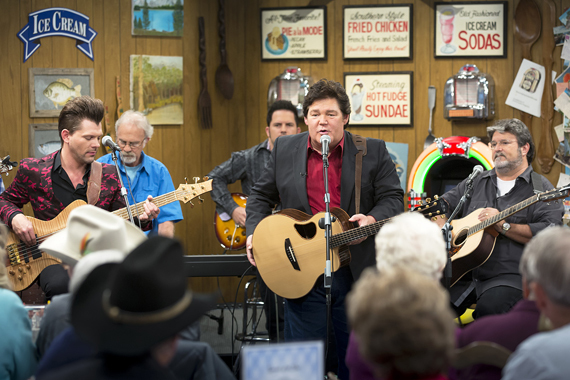 The lineup for Larry’s Country Diner on RFD-TV (Rural Media Group) includes Shenandoah, Hot Club of Cowtown, Jimmy Fortune and Darrell McCall. On April 7 (re-airing on Saturday April 9), Shenandoah’s performance will include “Two Dozen Roses” and “Next To You, Next To Me.” Scheduled performers will share fan-favorite hits with new music and never-before-heard stories during interviews with Larry and the cast. Each episode is filmed live-to-tape in front of an audience.